Ik heb niks met Little Mix, hoe slecht ze ook zijn/waren.. er staan hier wel een paar leuke nummers op. Shout Out To My Ex *** **<br>Touch *** **<br>F.U. *** *<br>Oops *** **<br>You Gotta Not *** *<br>Down & Dirty *** **<br>Power *** *<br>Your Love *** *<br>Nobody Like You *** *<br>No More Sad Songs *** *<br>Private Show *** *<br>Nothing Else Matters *** **<br>Beep Beep *** *<br>Freak *** *<br><br>4.36 - 4*<br><br>Tatsächlich mein erstes Little Mix-Album, und auch sonst kenne ich mich abgesehen von ein paar sehr wenigen Songs nicht wirklich mit dieser Girlband aus. 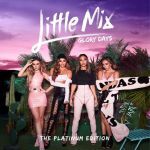 "Glory Days" ist aber bereits ihr viertes Album, und in den UK hat es sich schon fast 90,000 mal verkauft - nach nur einer Woche!! <br>"Glory Days" ist dann in etwa so ausgefallen, wie ich erwartet habe. Gutes Pop-Album mit teils eingängigen und modernen Pop-Songs. Wer "Shout Out To My Ex" mochte, wird wohl auch andere Tracks mögen. Meine Highlights sind "Oops", "Nothing Else Matters" und die bereits erwähnte Lead-Single, welche auch gleich als Opener dient. Wer einen garantierten Ohrenschaden will, ist mit dieser CD gut bedient.... Nein, im Ernst. Auf solch eine Girlie-Gruppe hat die Welt nicht gewartet. Wenn sie wenigstens einigermassen singen könnten, aber da ist Hopfen und Malz verloren. Schlechter sind nur noch die "Amigos". This one is a really interesting one. I genuinely think this is their most mature album to date. Lyrically (besides the odd discrepancy, the "motorbike" line in "Power" for example) and production wise it's miles ahead of the rest of their catalogue, and also continues to show that all four girls are incredibly talented vocally. In saying that though it is also their most generic sounding album to date. Little Mix have always in my opinion showed with each single release another trick out of their book, every single sounded different from their last and brought something new to the table, that is probably the big thing lacking from this album as a whole. <br><br>One thing that is a consistency throughout everything Little Mix have done since they won the X-Factor is show incredible vocal talent. Their harmonies are insane, especially compared to other girl groups around at the moment. Those harmonies and vocal moments are present on almost every track on the album, in particular the incredible acoustic version of "Touch", and they continue to prove they are vocally the best girl group since Destiny's Child.<br><br>The only main problem I have with this album on the flip side is also it's biggest plus. On one hand some of the melodies are really unorthodox and are hard for me to get used too. The verses of "Power" and "Your Love" in particular, even though I do actually like both tracks, would be perfect examples of what I'm talking about. In saying that though, the finest moments on this record are in it's melodies. 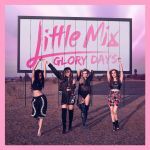 The chorus of "Touch", and the melodies in particular, are the finest of their career, and has resulted in the aforementioned track being my favourite Little Mix track to-date and one of the best pop tracks of the decade so far as well. The melodies of "Shout Out to My Ex" and "F.U." are also album highlights.<br><br>All-in-all for me I would say this is their best record to date, but there is still room for continued growth. 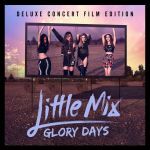 This makes Little Mix for me one of the most interesting pop acts around at the moment and are a group that I absolutely adore and will continue to somewhat stan for.<br><br>Highlights: "Touch", "Shout Out to My Ex", "Down & Dirty", "F.U" and "Touch (Acoustic)"
I'm not sure what I should think about this album. It's definitely not bad, but not all songs stand out from other average mainstream music. Their songs are empowering and full of energy. <br>They have extraordinary voices, but I miss slow ballades where that really stands out. <br>My favourites are Down & Dirty, F.U., Power or Freak. <br>Sad that they were only involved in the writingprocess of 4 songs, they are talented songwriters. Und das soll Musik sein?! Glory Days ist ein ganz starkes Popalbum mit extrem vielen Ohrwürmern. Man möchte die Songs rauf und runter hören - viel zum tanzen, mitsingen, aber auch ruhigere Songs. Eine gute Mischung einfach. Ich habe mich für die Platinum Edition statt der Deluxe Edition entschieden, da sie für mich erstmal ansprechender war aufgrund der neuen Songs.